If you're not sure of the type of dog you want, the PawsLikeMe app will tell you. Billed as "eHarmony for pets," PawsLikeMe has developed a quiz that matches humans with canines or felines based on "four core personality traits that influence the interspecies bond." Users answer questions like, "Which describes you best - Caring or Logical," and, "I would exercise with my dog every day - Agree or Disagree." The app's algorithm then creates a profile combining the four personality quadrants and generates a ranking of matching adoptable pets based on their traits and behavior. PawsLikeMe says its users give it a 93% rating for accuracy. As much as dog and cat matching apps have made it easier for humans to find four-legged companionship, they've made an even bigger impact on the lives of homeless pets. Animal shelters agree that pet-pairing apps have been life savers, literally. 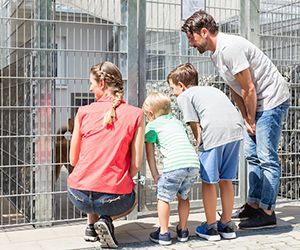 They make it possible for pets in desperate need of a home to reach out to a larger pool of potential adopters and, hopefully, find that special someone. 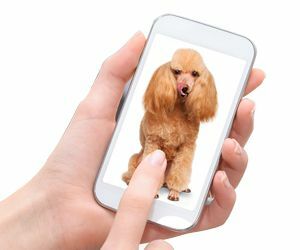 "I can't even begin to tell you how big a difference (pet-finding apps have made) in the world of animal welfare," said Tiffany Lacey, executive director of New York's Animal Haven rescue. "As soon as we post a picture, people are coming to the shelter to meet the animal." 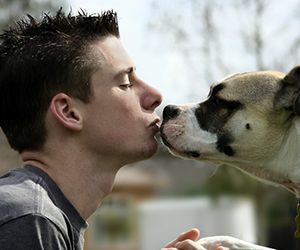 There's another similarity between human and pet dating apps. Although it might seem like love at first sight, it's a good idea to take time to get to know your new friend before you commit.